In another life, Elaine and Justin, a favorite couple of mine, gave me this sound advice: Do all the things you want while you’re still single. When you’re married, things get more complicated. My friends taught me how to wait well. 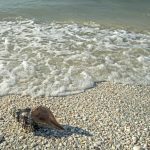 After months of rotting fish, ghastly odors, and irritated throats, biologists have declared Florida’s epic Red Tide bloom over. Earlier this month, we went on our first-post Red Tide boat outing. The first stop was our “secret” oyster beds. Donning water shoes, carrying bucket and hammer, we climbed over the stern and waded toward the exposed bars. Why is Valentine’s Day an excellent time to thank your donors for the gifts they made at the end of the year? I bet you’ve said this phrase in the last thirty days. 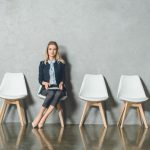 Why it’s time to stop using these four words and what to say instead. Is It True? 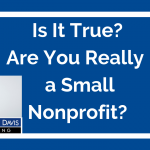 Are You Really a Small Nonprofit? Just like we can’t all be above average drivers, nonprofits can’t all be small. 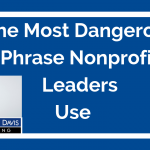 From zero to millions-–what size nonprofit are you? What does the data tell us? 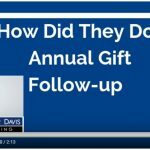 It’s mid-January, how did four nonprofits respond to year-end gifts? Listen to learn two best practices and two actions to avoid. 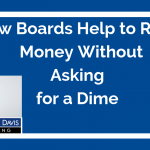 Some individuals including board members refuse to ask for money. What can people do who will do anything, but ask for a donation to support fundraising? A lot. This video includes just three of Karen’s ideas. 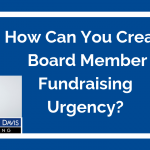 How Can You Create Board Member Urgency About Fundraising? 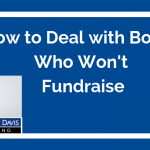 How can you deal with board members who flat-out refuse to help raise money in any way? First, recognize that three kinds of refusal exist. Plan your success from there. How can your staff let your donors know exactly what you need at your organization? 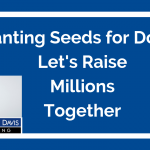 Listen to this video to discover how one staff member planted seeds about the need for operating funds. Use this idea, to help your prospective donors to give in a way that helps the most. Watch this space for information about how to get your copy of Let’s Raise Millions Together.